HomeUncategorizedHemp vs Marijuana: What Changed for Hemp in the 2018 Farm Bill? Hemp vs Marijuana: What Changed for Hemp in the 2018 Farm Bill? The legal marijuana industry boomed in 2018 with investments totaling 10 billion dollars. But marijuana still remains illegal on the national stage. So what are all of these people investing in? As more and more states legalize marijuana, the federal government has started to react. In 2018, they released a new farm bill that changed the way the federal government was going to view marijuana and hemp. It acknowledges their differences and made hemp legal to cultivate. Now people are investing in hemp production facilities hoping to make money on products that contain hemp-derived CBD and manufactured goods. Learn more about the differences between hemp vs marijuana here so that you too can understand the changes taking place in our country. Hemp is marijuana that has less than 0.3 % THC. That means that it can’t get you high. But it does have many other beneficial properties. Companies like Wellspring CBD can make it into CBD products and manufacturers can use hemp to make cloth, plastic, and paper goods. 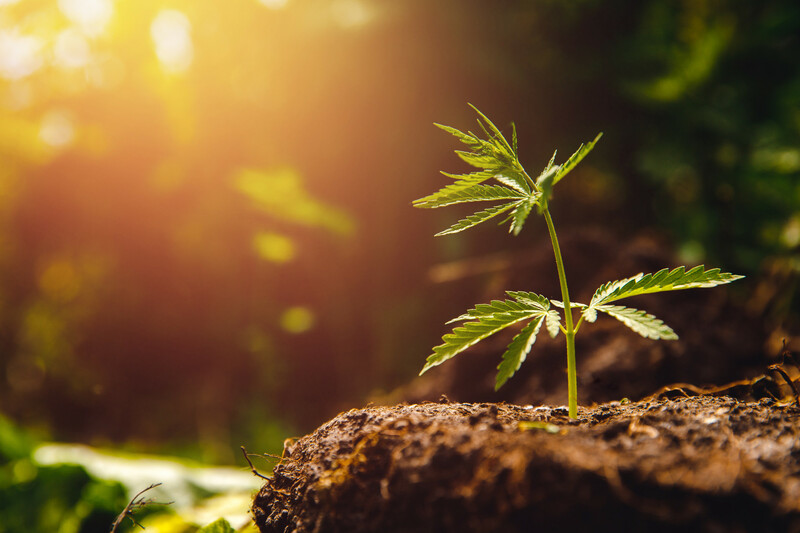 With more opportunities for goods made with hemp to make it to market, more people are investing their dollars in hemp cultivation. Prior to the 2018 Farm Bill, there were pilot programs run by the USDA that investigated and regulated small-scale hemp cultivation. But after the bill, hemp can be cultivated much more broadly. One of the most important parts of the bill is the fact that hemp-derived products can now cross state lines without issue. States can apply for licenses from the federal government to regulate their hemp industry. If they opt not to set up their own program, then their farmers can apply with the federal government for licenses. The bill further expands the protections that are available for hemp research. Today, the government is beginning to recognize many of the diverse opportunities that the hemp plant provides. This is important because more research is needed into the potential benefits of CBD and the way that it can be used to treat a variety of illnesses. Now that the 2018 Farm Bill is in effect, hemp farmers will be treated like anyone else who is growing a crop. Hemp is now a mainstream crop that is viable for cultivation across the United States. Just make sure that your crop has less than 0.3% THC in it and follow the letter of the law. Investing in a test kit is a good way to ensure that your plants stay within the correct range. After reading this article, you should have a better understanding of the differences between hemp vs marijuana. Under the 2018 Farm Bill, hemp can now be legally cultivated in the United States. That means that if you’ve been waiting to invest in a new industry, hemp could be a great option. For more news articles, check out our other posts today.